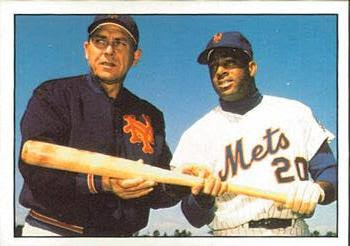 Thursday April 10th 1969: In just the third game of the 1969 season, there were already positive vibes around the New York Mets. In town were a brand new ball club, the first team to come from outside of the United States, The Montreal Expos led by manager Gene Mauch. After Oh Canada was sung for the third time at an MLB game, the National Anthem was sung & we were ready for baseball. The two teams had split the first two games of the series & this Thursday matinee was the rubber game. 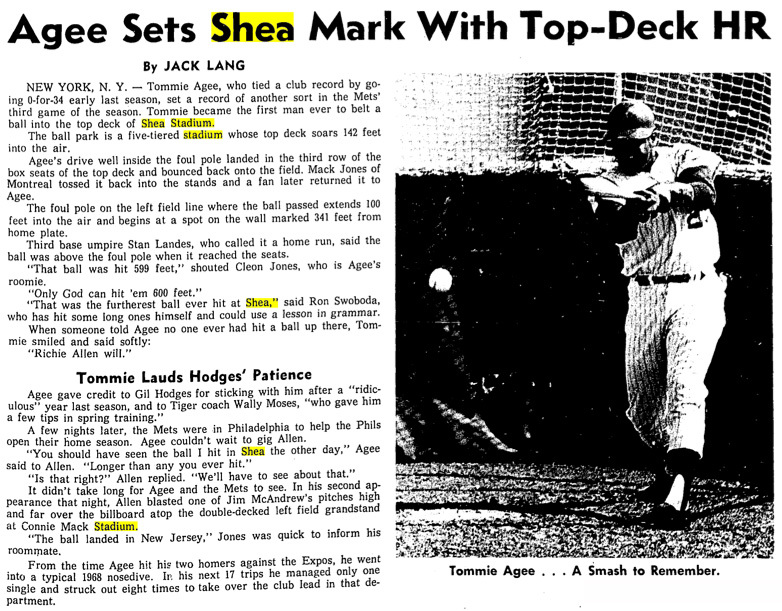 A Shea crowd of 8,608 were on hand to witness a Shea milestone. The Mets sent rookie Gary Gentry to the mound, another of the fine young arms the Mets kept plucking out of their minor leagues to face former Cardinal veteran; Larry Jaster. In the bottom of the 1st, the Mets produced four straight two out singles; Ken Boswell, Cleon Jones, Ed Charles & Ron Swoboda all got base hits putting the Mets up 2-0. In the 2nd, Montreal's John Bateman answered with a solo HR making it 2-1. 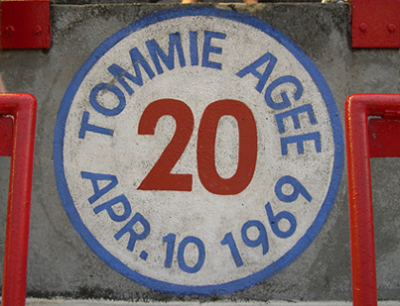 In the bottom of the second inning, the Mets Tommie Agee stepped in against Jaster. He was 5-8 in his career against Jaster with four HRs. In his prior history at Shea Stadium Jaster was 4-1 & had taken a no hitter in the 8th inning in 1968. 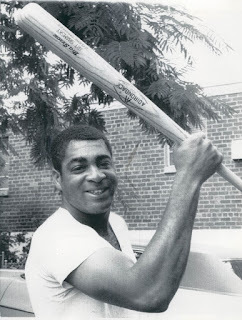 But on this day his nemesis, Tommie Agee did something no one had ever done before or after in the 44 year history of Shea Stadium, he blasted a HR into the left field upper deck. It was a tremendous shot, that has never been matched in the old large ballpark once known as Shea Stadium. There is no film clip or highlight reel to commemorate the moment. The only people who saw it were the ones at Shea that day. Eventually in 1994 a marker was put in place at the approximate spot where the ball hit on that day. Most likely no one was sitting up there on that day in 1969, since a small crowd of just 8000 were in attendance. So no one really knows the exact spot it landed. That day in 1969 Agee complimented his Manager Gil Hodges for believing in him after a bad 1968 season: "This meant a lot to me. Not a lot of managers would have had enough faith to go with me after the year I had." The third base umpire; Stan Landes said the ball was above the foul pole when he called it a HR. The foul pole at Shea Stadium in left field was over 100 feet high. The ball eventually bounced off the upper deck seats & landed in left field where Expo Mack Jones tossed it to a fan. The fan reportedly returned it to Agee. 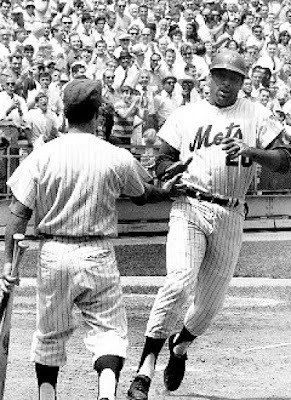 Cleon Jones, Mets left fielder & childhood friend to Agee said that day: "that ball was hit 599 feet, only God can hit them 600 feet". The on deck batter was Rod Gaspar: "I've never seen a ball hit like that, just incredible." 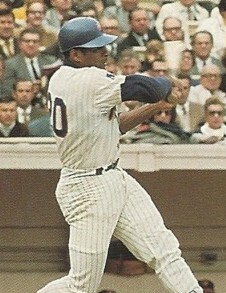 Bud Harrelson remembered: "It wasn't coming down when it hit those seats - it was just a line drive that kept on going,"
Ron Swoboda remembered: "Agee's homer would have hit the bus in the parking lot if it hadn't hit the seats, it just seemed to hang up there so long." Mets second baseman Ken Boswell remembered: "You knew he hit it good, but to land up there, man, nobody's ever hit it up there. Tommie was so strong, this was before weights and steroids and all those things, just a real strong guy. 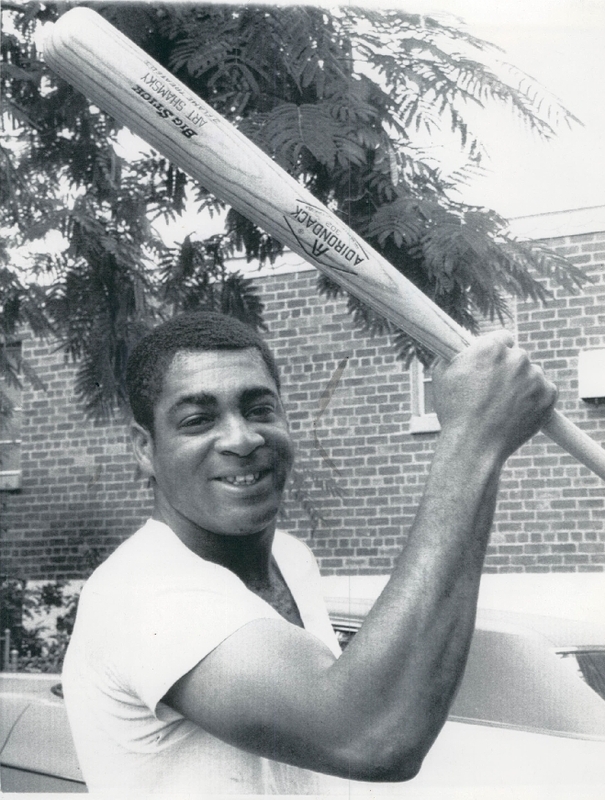 He just turned his hands and went - he was such a good athlete and a real good friend." 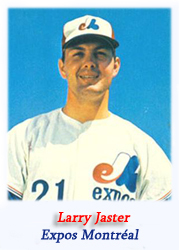 Expos pitcher Larry Jaster was a good sport & even admired the shot: "It was a low fastball, kind of in, and he hit it almost like a golf ball. A lot of times, you don't watch 'em. That one I had to watch because I knew it was hit pretty good." Agee added another HR in the 7th inning, also off of Jaster, this one not as far. 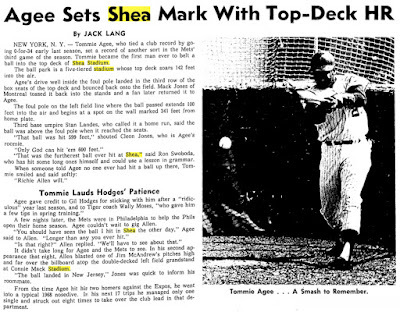 It was quite a day for the Mets & Mr. Agee as they went on to a 4-2 victory. It was also the first win in Gary Gentry's career. from centerfield: Tommie Agee still is remembered as one of the most popular players in Mets history. I remember going to one of my earliest games around 1970 or 1971 & Agee blasted a HR off the huge scoreboard in right center field. It's one of my earliest Mets memories. I wish I had more details so I could find that box score!